This accessible collection of essays critically examines Vygotsky’s scientific legacy. The book is solidly grounded in the "revisionist revolution" context and encourages constructive questioning of Vygotsky’s theory of human development. It tackles thought-provoking issues such as the true value of his scholarship, the possible falsification of his scientific legacy, and the role of political factors and the Communist parties in the worldwide dissemination of his work. It is essential reading on Vygotskian psychology and of interest to students and researchers in developmental psychology, history of psychology, history of science, Soviet/Russian history, philosophical science and education. 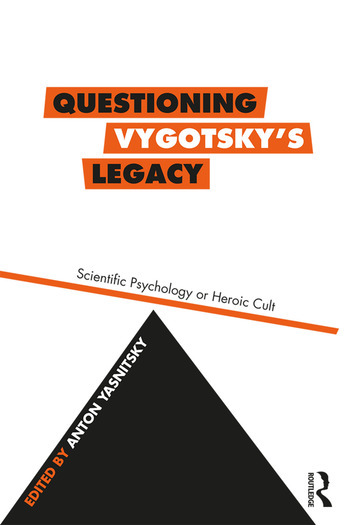 Anton Yasnitsky, Ph.D., is an independent researcher who specializes in the Vygotsky–Luria Circle. He is the author of Vygotsky: An Intellectual Biography (2018) and has coedited (with René Van der Veer and others) The Cambridge Handbook of Cultural-Historical Psychology (2014), Revisionist Revolution in Vygotsky Studies (2015), and Vygotski revisitado: una historia crítica de su contexto y legado (2016).